the machine in the garden? When Frederick Law Olmsted and Calvert Vaux designed Central Park in New York in the mid-nineteenth century, they depressed the four cross-town roads below the grade of the park, to prevent the hustle and bustle of city traffic from interfering with the tranquil effects of Nature they aimed to create in the park. 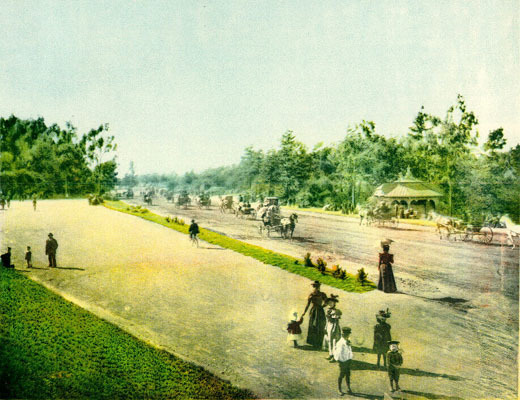 This ground-breaking decision in Central Park addressed a conflict that has plagued the custodians of urban parks every since, and become even more challenging since the advent of the automobile. It’s an example of a deep-seated contradiction in our culture, identified with great perception by the literary and cultural historian Leo Marx, in a book entitled: The Machine in the Garden: Technology and the Pastoral Ideal in America (Oxford University Press, 1964, 2000). In this book Leo Marx discusses many instances in which “the pastoral ideal has been incorporated in a powerful metaphor of contradiction” in American culture. He cites examples from American literature and the culture at large to illustrate how “an inchoate longing for a more ‘natural’ environment” often butts up against “the hard social and technological realities” of our contemporary, technologically-driven society. 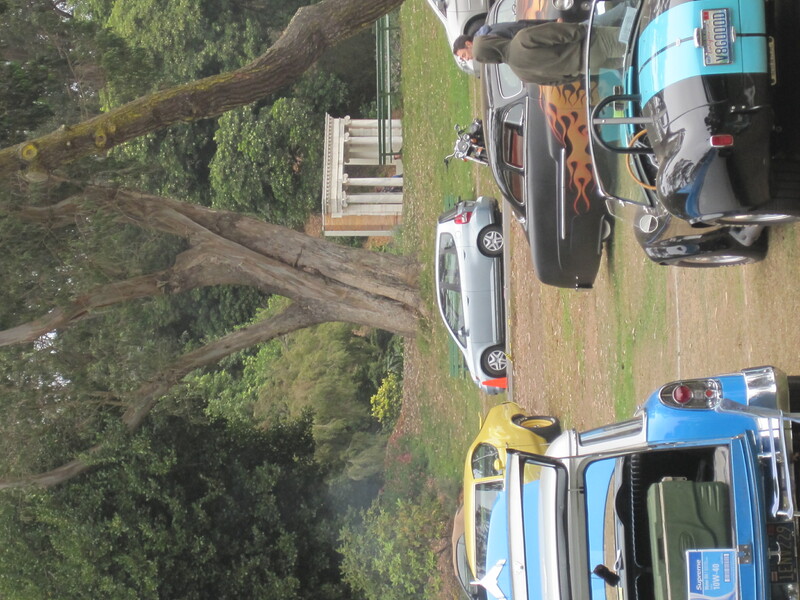 I was so reminded of this contradiction a couple of weeks ago, coming across Tommy’s Old Car Picnic in Speedway Meadow in Golden Gate Park. 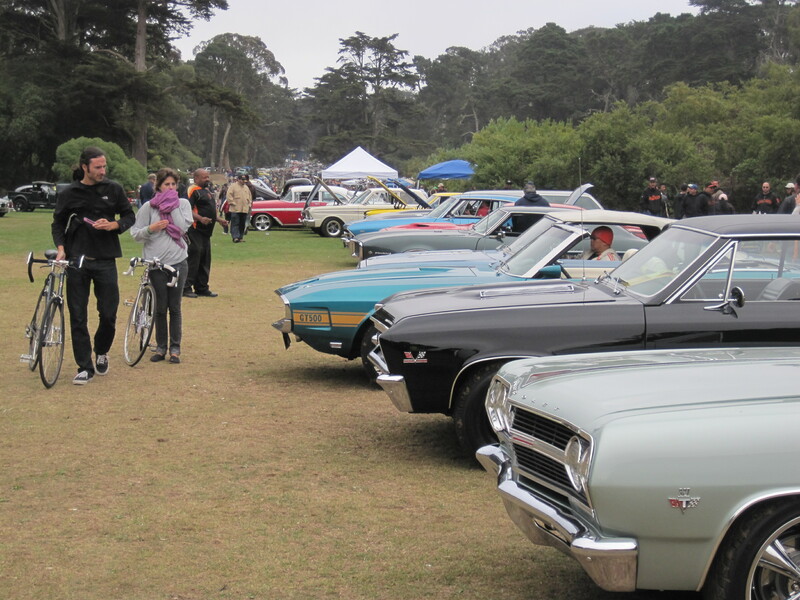 This entry was posted in events in Golden Gate Park, history. Bookmark the permalink.